While top tourist destination Oahu, Hawaii offers beautiful turquoise beaches, dining, snorkeling, shopping and sun, there are so many awe-inspiring hidden treasures on the island that will make you wish you could unpack and stay forever. 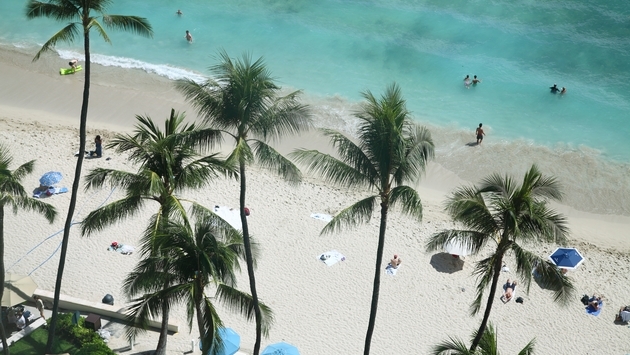 ‘Alohilani Resort Waikiki Beach, a modern tropical oasis set on the most famous shoreline in the world, offers travelers the inside info on their five favorite hidden spots near Waikiki and ‘Alohilani. If you’re up for a real challenge, remember these two words—Mermaid Cave. You won’t be able to find this secret beach grotto on a map, so it’s time to put your people skills to work and ask some locals for a hint or two. Want a clue to get you started? Begin looking leeward. The 194-acre rainforest Lyon Arboretum connects Hawaii’s history and culture. Boasting seven miles of hiking trails and twelve gardens to explore, you can spend your entire day among nature’s most beautiful sights while surrounded by an array of endangered and rare tropical plants. Oahu’s East Side is home to Halona Blowhole. While the blowhole itself is fenced in to keep locals and visitors from getting too close, you can catch stunning views from Halona Point above. Heed the posted warning signs to ensure the safety of yourself and those around you. In the late 1980s, a WWII veteran thought it a good idea to surround a beloved statue at Kapiolani Community College with a growing, living garden of sustainable succulents. And this is how the Kapiolani Community College Cactus Garden was born. To this day, this garden remains free and open to the public. At just under two miles roundtrip, Kaiwi Ridge/Pillbox Hike is a challenging and athletic family-friendly out-and-back trail that begins with a brisk climb, then evens out with some of the best views of the mountains, Kailua Bay, and Lanikai and the Mokulau Islands. For more tips on how to get the most out of your Oahu experience, visit the ‘Alohilani Resort’s blog here.